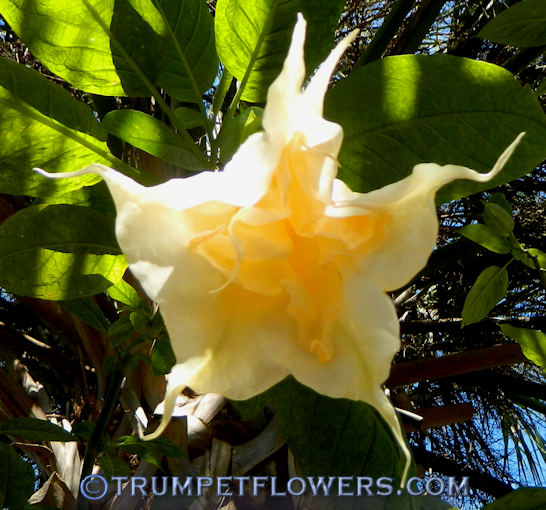 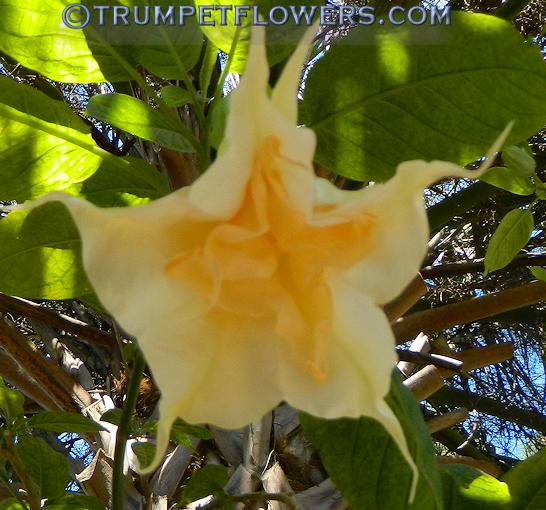 Angels Endless Summer brugmansia can have as many as 4 blooms come out of one flower. 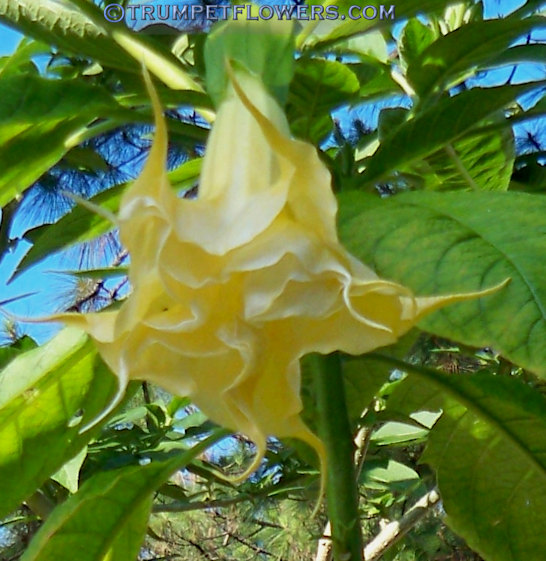 A European brugmansia created by Anne Kirchner Abel. 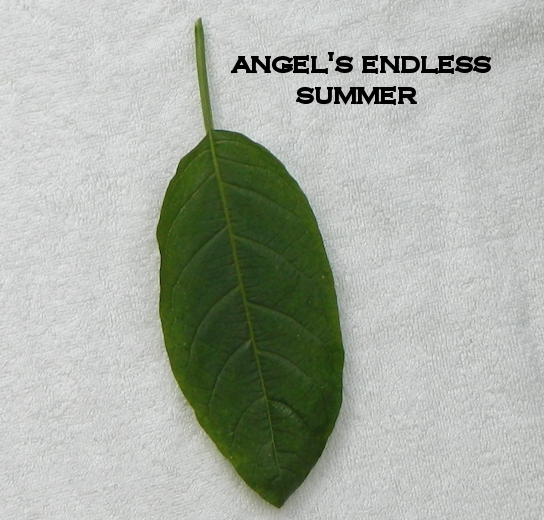 Angels Endless Summer has a slightly oblong leaf, that is slightly leathery, and not hairy. 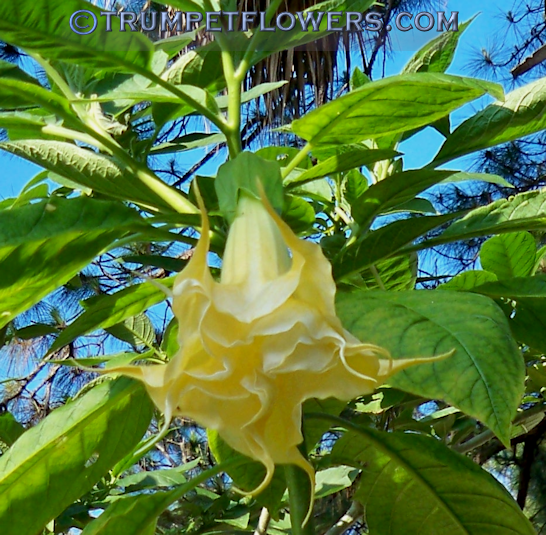 This entry was posted on February 4th, 2012 and is filed under Brugmansia Gallery.